AleaSoft is proud to announce it has developed an additional price forecasting model, specific to Switzerland (SWISSIX), within the EPEX SPOT market. Price forecasts for the Day-ahead auction market, EPEX SPOT may be offered both as a service and as a product. AleaSoft offers short, medium and long term price energy forecasts in a variety of markets of the energy industry. It has provided energy price forecasting for the major European electricity markets, such as MIBEL (Spain and Portugal), EPEX SPOT (France, Germany and Austria), IPEX (Italy), SEM (Ireland) and N2EX (UK). The AleaSoft team has developed an exclusive technology, merging statistical methodologies and artificial intelligence. AleaSoft´s energy forecasting models are unique, guaranteeing the highest degree of efficiency and accuracy. 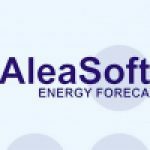 AleaSoft complements energy price forecasts with forecasts related to other price-related variables for which market players are also interested, such as forecasts of commodity prices (oil, gas, coal, CO2 emissions), production by technology (wind, hydro and solar) and meteorological variables, also influencing the energy industry.